Indispensable manual designed to help teachers effectively guide students in writing scenarios. 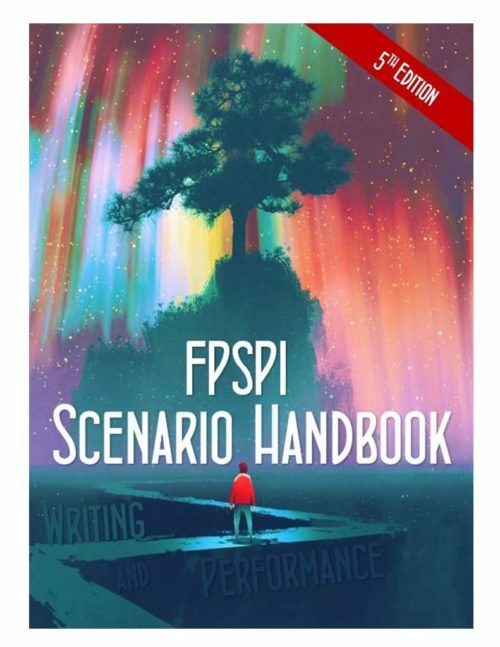 Explanations of scenario writing techniques, classroom activities, and award-winning student work. Now available in binder-ready or downloadable format. Please choose your option when ordering. The purchase of this material grants the individual purchaser the right to print the pages contained herein and make sufficient copies of said pages for use by a single FPS coach or evaluator. This permission is limited to a single coach/evaluator. Any other use requires written permission from Future Problem Solving Program International, Inc. Purchase does not permit reproduction of any part of the book for an entire school, special programs, school district or school system, or for commercial use. Such use is strictly prohibited. Any violation to this copyright will result in a charge of no less than $500 per incidence.